Concert lasts approximately 2 hours. 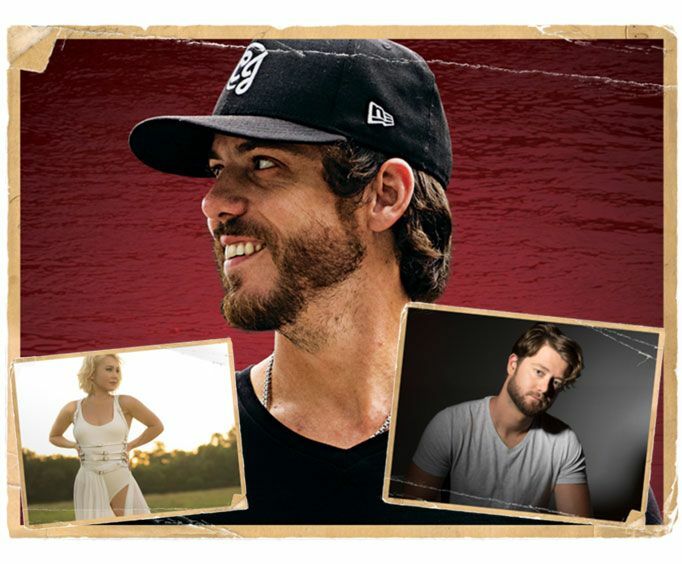 Smokin' Summer Kickoff Chris Janson, RaeLynn and Adam Doleac Live In Concert Branson is not scheduled to perform in Branson this year. Branson, MO is an amazing hub for great music. Do not miss out on seeing some amazing artists with the Chris Janson, RaeLynn, and Adam Doleac concert. This limited-engagement show will have all ages dancing and singing along to some fantastic country music. Plus, it's part of the Shepherd of the Hills Smokin' Summer Kickoff, so you can experience tons of fun alongside live music. Chris Janson not only hails from Missouri, but his talent is renowned across the entire country. His high-energy performances bring some heat to the summertime celebration, and guests can hear some of his hits like, "Buy Me a Boat", "Fix a Drink", and "Holdin' Her". This jack-of-all-trades is a must-see! Joining him onstage are both RaeLynn and Adam Doleac. RaeLynn got her start as a contestant on The Voice season two and has since cultivated a name for herself in the music industry with songs such as, "God Made Girls", "Lonely Call", and "Love Triangle". Rounding out the concert is Adam Doleac who is known for "Whiskey's Fine" and "Bigger Than Us". As well as being able to see this fantastic concert, guests will be able admitted to the Shepherd of the Hills Smokin' Summer Kickoff. This festival brings the best of BBQ straight to the Ozarks. Visitors will be able to join in on the fun and celebrations while sampling yummy BBQ from over 50 different competitive teams. This energetic and explosive performance not only captures the essence of fun and great music of the Ozarks, but it provides something unique to your summer! Do not miss out!